ABSORBETECH ENVIRONMENTAL | Manufacturer of the hydrocarbon absorbent ABSORBETECH and our associated products. Absorbetech Environmental is the manufacturer of the hydrocarbon absorbent ABSORBETECH and our associated products. We are a South African company based in Durban, KwaZulu Natal, with representation via a number of distribution agents locally and internationally. Absorbetch is manufactured locally from the waste stream of an existing industry and thus does not add to the depletion of our natural resources, nor will it harm our environment as it is totally biodegradable. For more technical information on Absorbetech please proceed directly to our PRODUCTS page. 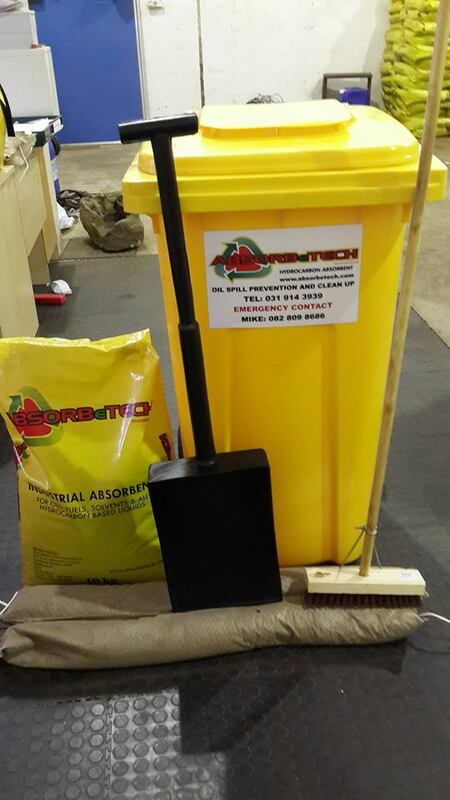 Absorbetech Environmental is a family owned organisation based in Southgate Business Park, Amanzimtoti, KwaZulu Natal, from where, via a network of dedicated distributors, we supply many satisfied customers around the country. Among whom are Transnet Engineering, Freight and Port Operations , BHP Billiton, Rio Tinto, FFS Refineries, Foskor and Tata Steel to mention a few. We started manufacturing in 2007 utilising the services of a third party. 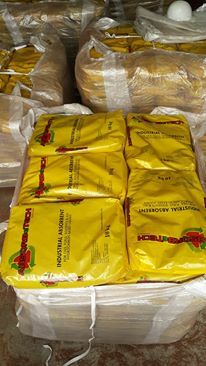 In 2014 we opened our own milling and bagging plant in close proximity to our warehouse, which is based in Amanzimtoti. We were thus able to reduce costs significantly – these savings were passed on to our customers. Our locally produced ABSORBETECH compares favourably with all other available absorbents including expensive imported peat based products. We pride ourselves on our various products and efficient services offered. In addition we offer a wide range of excellent degreasers sold under license to our supplier. Our Spillcart, Non-spark shovels and variety of plastic bunds are manufactured by a third party on our behalf utilizing our own moulds. Production Manager – Sean Share 082 577 9487 . We might be able to save ourselves from ourselves if we worked more closely with nature!